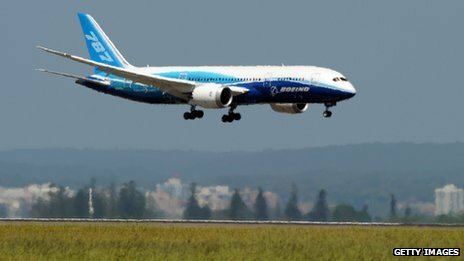 When Boeing's 787 Dreamliner completed its first test flight in December 2009, it was hailed as the future of commercial aviation. But the project was plagued with problems from the start and was 30 months behind schedule at the time of its maiden flight. Here are some of the innovations that made the Dreamliner the most eagerly anticipated aircraft for decades. There are two Dreamliner models. Model 787-8 has already been delivered and has been experiencing technical difficulties. The average price in 2012 was $206.m (£128m). The first delivery of the bigger Dreamliner, model 787-9, is expected in 2014. Below are the numbers of 787-8 models ordered and how many have been delivered between January 2004 and December 2012.